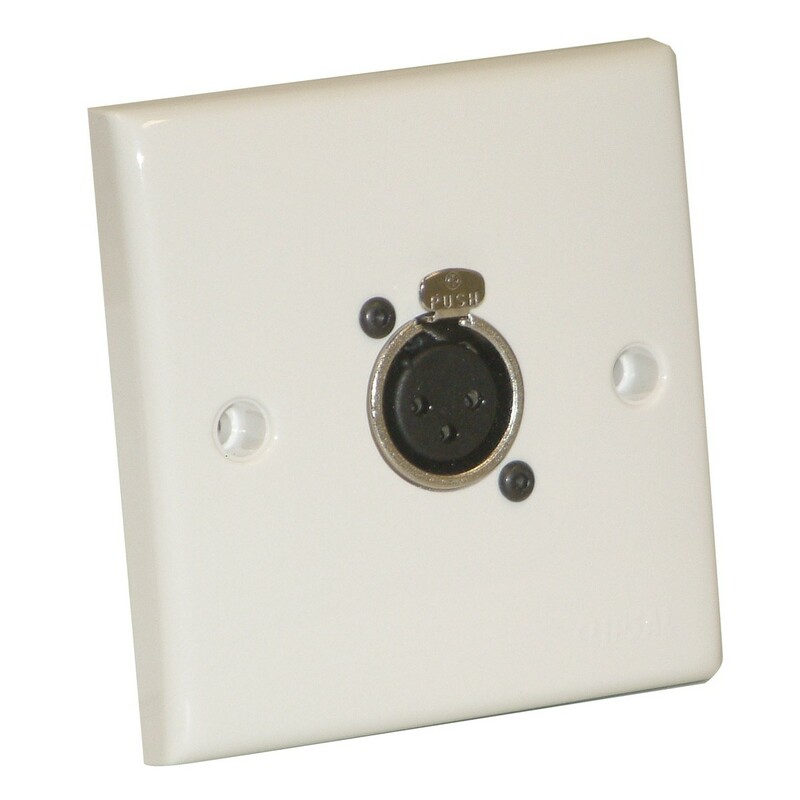 The Eagle AV Wall Plate With 1 x 3-Pole Female XLR Socket is an easy to fit solution utilising premium-grade components. The plate is suitable for either flush or surface mounting (the back box is not supplied) and comes fitted with a Neutrik NC3FD-L-1 Female 3-Pole XLR socket. The XLR format is primarily found on professional audio, video and stage lighting equipment, making this wall plate ideal within a stage setup or home theater. The Neutrik NC3FD-L-1 3-Pole Female XLR Receptacle is equipped with solder cups for hassle-free wiring. The unit utilises a universal D-size die-cast zinc shell, and is part of Neutrik's panel-mount series. This UL-recognized component features silver-plated bronze contacts for optimal conductivity, resulting in an exceptionally durable and reliable XLR receptacle suitable for a wide range of applications.